The Etihad Aviation Group Board of Directors on the 24th of January 2017 announced that James Hogan will step down as President and Chief Executive Officer of the company in the second half of 2017. Mohamed Mubarak Fadhel Al Mazrouei, Chairman of the Board of the Etihad Aviation Group, said: “We are very grateful to James. In just 10 years, he has overseen the growth of the company from a 22 plane regional carrier into a 120 aircraft global airline and aviation group, with seven airline equity partnerships which together serve more than 120 million guests every year. The Group also announced that it has developed a senior management structure with strength in depth, led by a highly-regarded senior team. This team includes Peter Baumgartner, CEO, and Richard Hill, COO, of Etihad Airways; Bruno Matheu as CEO of Airline Equity Partners; and Jeff Wilkinson as CEO of Etihad Airways Engineering. 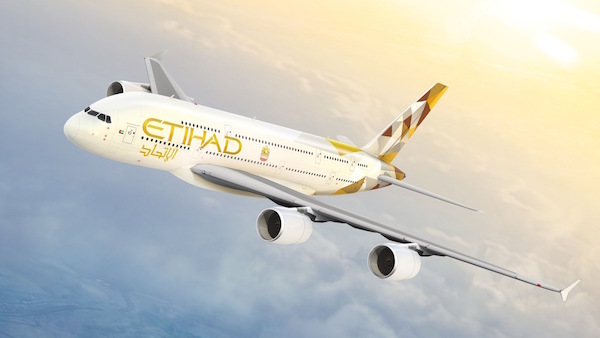 Etihad also acknowledged Hogan‘s success stories of the airline’s codeshare and equity partnerships. These strategies are considered as a core element of its growth, delivering 5.5 million passengers onto Etihad Airways’ flights in 2016. This announcement is just a month after Etihad Airways unveiled plans to create a new European leisure airline group in a joint venture with TUI AG. A new codeshare agreement with Lufthansa and an aircraft leasing agreement between airberlin and Lufthansa were also announced. As a minority shareholder, Etihad is actively participating in the next phase of Alitalia’s restructuring plan. Hogan will join an investment company along with Etihad Aviation Group CFO James Rigney, who will also leave the company later this year. A global search for a new Group CEO and a new Group CFO is already underway.